Whitegate Motors is a used car dealer based in Padiham near Burnley, Lancashire.  We are a family run business established for over 15 years with 40 years experience in the motor trade and over 50 cars in stock. We have one of the best selections of quality used cars available and have many delighted customers from across Lancashire including the areas of Padiham, Burnley, Nelson, Colne, Clitheroe, Blackburn and Accrington. We stock a wide range of cars from all major manufacturers including Audi, BMW, Citroen, Fiat, Ford, Mazda, Mini, Mercedes-Benz, Nissan, Renault, Peugeot, Toyota, Volkswagen and many more. Our range includes Hatchbacks, Estates, Saloons, Convertibles, Coupes and 4x4 models and with over 40 quality used cars in stock we are sure to have the right used car for you. We can offer a wide range of financial packages tailored to suit your personal requirements. You can be assured of gaining the most cost effective finance package for your used car. We also offer a Part Exchange service, allowing customers to cover part of the cost of their new car by trading in their old one. In addition to our Used Car Sales and Services, we also offer Used Car Warranties, Delivery, Car Servicing and MOT Testing. Directions, opening hours, telephone numbers and enquiry forms are available on our Contact Us page. At Whitegate Motors we pride ourselves on giving you the best advice possible with a friendly service when buying one of our quality used cars. Our reputation speaks for itself with a large proportion of our used car sales being to repeat customers. We offer a wide range of quality used cars at affordable prices. Our existing customers appreciate the way we do business, and we know you will too. My wife was looking for a Z4 and we saw one on autotrader at Whitegate motors. We went along and after trying other garages got the feeling we were now at the right place. The service from Peter and his staff was exceptional. After test driving the vehicle we agreed the price and did the deal. Peter then told us we could pick up the car the next day after it had been serviced and had a new MOT. On collection we were also given a bottle of wine as a thank you for our business. I would definitely recommend Whitegate Motors to anyone looking for a quality second hand motor. A very pleasant experience overall.